This is a two day version of the full 3-day ‘No Fear Oil Painting’ workshop. A great one for those of you who don’t have 3 days you can pull out of your schedule or who would like an introduction to brush handling, color and pigments and the nuance and beauty of edges. 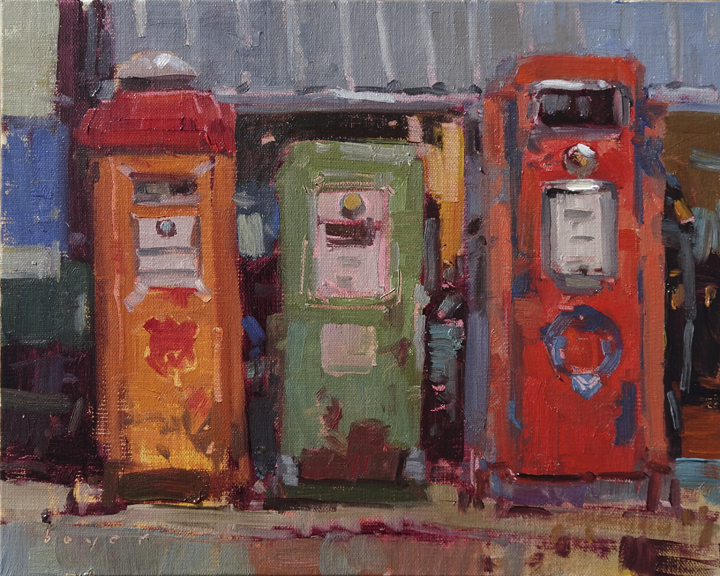 Plein Air – The Joy of Observation! Day 1: I will be doing a demo start to finish, explaining my thought process for each step, aiding you in developing a personal methodology. During the demo we’ll touch on a variety of subjects – drawing, design, value, color, harmonizing your painting, materials and brush and paint handling. We will discuss how to approach your creative process – concept, scene selection and preparation. You will learn the steps that prepare the groundwork for a successful painting. Day 2: Permission to slow down and find the joy! You will have time to work through each of the preparatory steps for creating a painting ‘en plein air’. I’ll be teaching a method not a style. 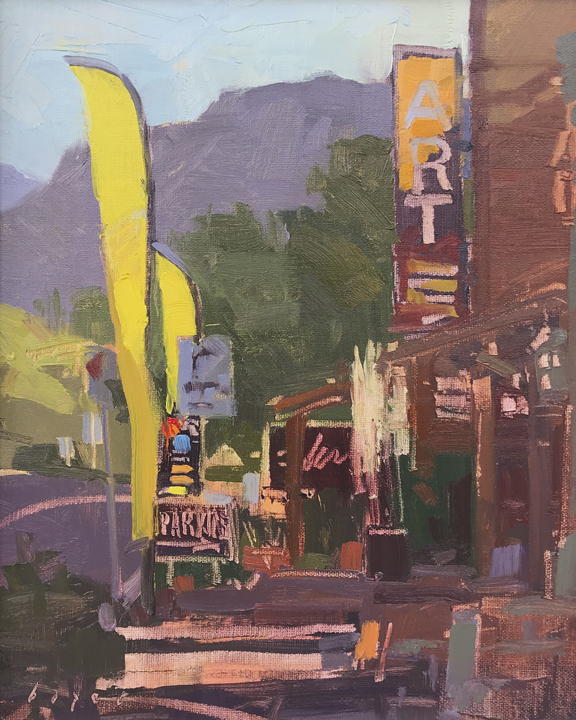 Whether you’re new to plein air or an experienced professional having a structure that allows you to check your progress at each stage before moving on to the next will bring more consistency to your efforts. You’ll avoid a problem, unresolved from an early stage in the process, spoiling what otherwise may have been an inspired painting. Start strong! End Strong! Day 3: The day will be devoted entirely to using the preparatory work from days one and two to bring your paintings to completion. Each student will receive individual instruction. The day will be devoted to putting into practice the concepts we’ve covered and allow you to focus on that on the thing that is going to put wind under your wings! An opportunity to bring in paintings for some intensive one on one direction to help get you over a hurdle or get general feedback and ideas on how to improve a piece. 12-5: painting on location plein air. I will not be painting during the afternoon so I can spend the time giving feedback and individual help. The workshops will be tailored specifically to help you toward your individual goals or the goals of your group. You may choose to select topics from the ‘one day intensives’ for your 2 and 3 day workshops or choose additional topics that interest you. 12-5: guided exercises working on specific core skills. The workshops will be tailored to help each individual find a path forward to take their painting to the next level. TOPICS: If you or your group want to use your time to focus on a specific topic I’m happy to tailor your workshop to get to the heart of what you’re after. Below are some of the ‘intensives’ available. If you have a special request not on the list let me know. A GOOD START MEANS A GOOD FINISH: The specific steps to creating a good block and and then taking your painting to finish. 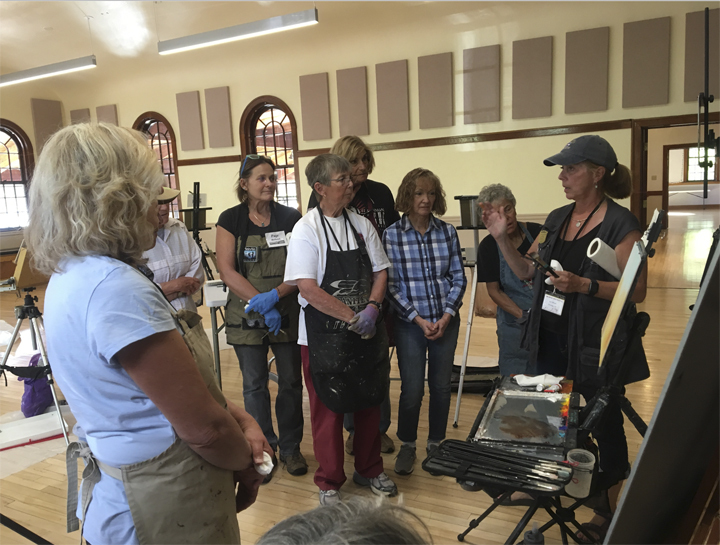 “Lyn Boyer’s oil painting workshop was outstanding. I learned more in her 3 day class than in the many other workshops that I have taken. She made clear how to make decisions, especially those about format and design. She taught a sequence of logical steps for “no fear” oil painting. She asked students to identify their main challenge that she then specifically addressed as she helped each student individually. All students received equal individual attention because she used a timer as she went from easel to easel. I highly recommend this workshop for both accomplished and aspiring artists. Happy New year dear Lynn from your Italian friends. Wishing you all the best. So nice of you to keep in touch Giovanni! Happiest New Year to all of you! !